Groups is a powerful feature for growing teams. If you are the administrator, you have the ability to create groups and add teammates accordingly. Visit the Administrator Guide to learn more about creating and managing groups. Groups make it easy for you to share your notes with multiple teammates and manage note access for specific teams. When you create a note, you have the ability to choose who has access to it. Instead of selecting each team member, you can choose the entire group. 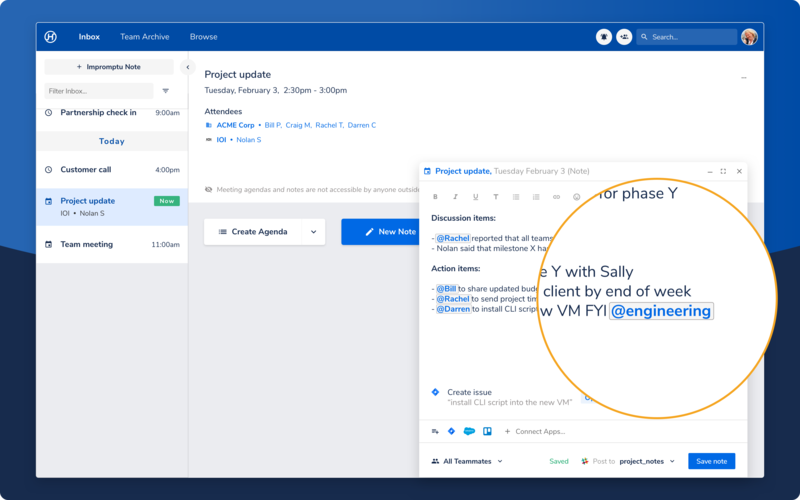 Use the @mention feature in a meeting note to call attention to a larger group of people who need to be looped in to a meeting insight or takeaway.